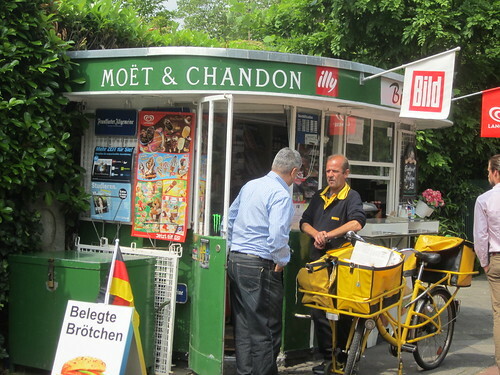 One of Germany’s greatest institutions is the pavement kiosk. Everyone in the neighbourhood stops off to pick up a newspaper, cigarettes, chocolate or ice cream. 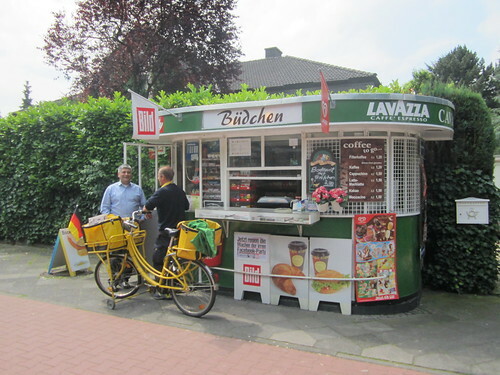 But in the well-heeled end of Meererbusch where the wealthiest bankers, company directors and celebrities reside, the local Büdchen (kiosk) takes on a new twist. Industrialists, financiers and wags do not just grab a quick Mars bar on their way to the station. They do not pause for a tin of cola while walking their dog. 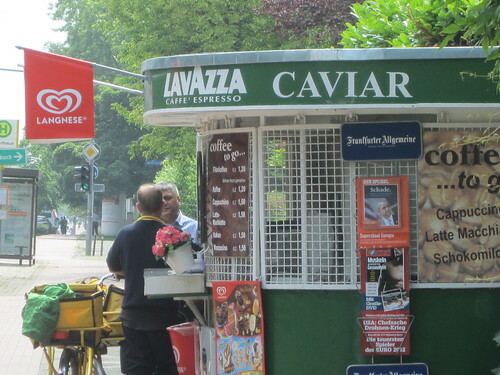 So the canny kiosk vendors of Meererbusch have had to take their offering upmarket. Next time you jog the pavements of the leafy villa district, do remember to stop off for a quick snorter of restorative champagne en route. A packet of Lucky Strike and a bottle of your finest Sekt, Kumpel! Or if, as a member of the super-rich elite, you feel a snack-attack coming on, do tarry for a spot of caviar, just to keep body and soul together. Merciful relief for those suffering a caviar-attack! And of course, they do serve a rather acceptable cup of coffee to local residents, if it should happen to be the butler’s day off. Moët & Chandon is not Sekt. What will the French neighbors think? Please don’t tell them I can’t taste the difference between Sekt and Champagne – only the difference in price.